Hello everyone to another edition of Mastication Monologues. Today I’m going to be going way back in time to an era that seems like ancient history. The year was 2001, and unfortunately there was no space odyssey involved. I had just suffered a life threatening injury to my neck, but the family and I still ended up going on vacation to Memphis, Tennessee since I wasn’t going to have surgery for another month. So we took in the typical tourist sites like Graceland and Beale Street before the beautification movement that transformed this once dilapidated thoroughfare into a squeaky clean tourist hub. After an entire day of seeing sparkling jumpsuits and Elvis’ personal plane emblazoned with his signature motto TCB, we started looking for a place to eat. Little did I know that I would be Taking Care of Business at dinner that night. 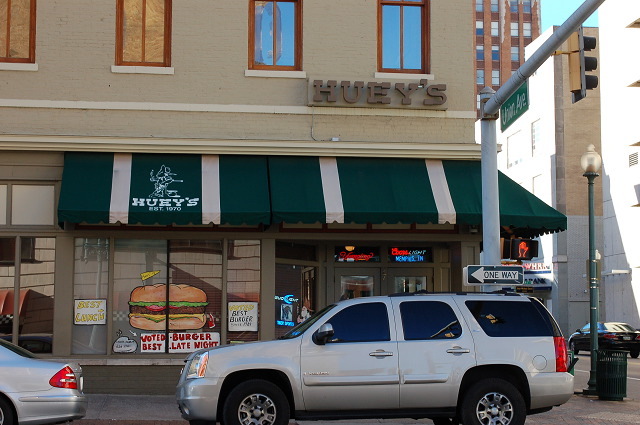 We ended up going to Huey’s located at 77 South 2nd Street, Memphis, TN which is the downtown location. 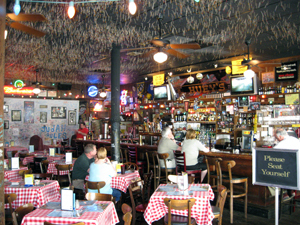 Upon entering, it seemed like any type of regular hometown bar with a little helping of some southern charm. However, upon closer inspection, we noticed some unique touches to the interior of the establishment. First, the booth, walls, and table surrounding us were covered in different types of graffiti from travelers who had made the trip before us. So, naturally we all left our mark with the markers that they provided us. I then saw some other diners taking their straws and aiming them upwards towards the ceiling. Given my injured status, I awkwardly moved my body to see that the ceiling tiles were filled like pincushions with thousands of tiny toothpicks. We also followed suit (even though my mom accidentally shot someone at the table next to us with a toothpick), and it was a fun way to pass the time before our food arrived at our table . I ended up ordering the classic World Famous Huey Burger with a side of their onion rings. The burger was not the be all, end all in burgerdom, but it had all of the right qualities of being in the upper echelon of sandwiches I have tried over the years. They cooked it to perfection without charring it too much while also keeping the patty nice and juicy. 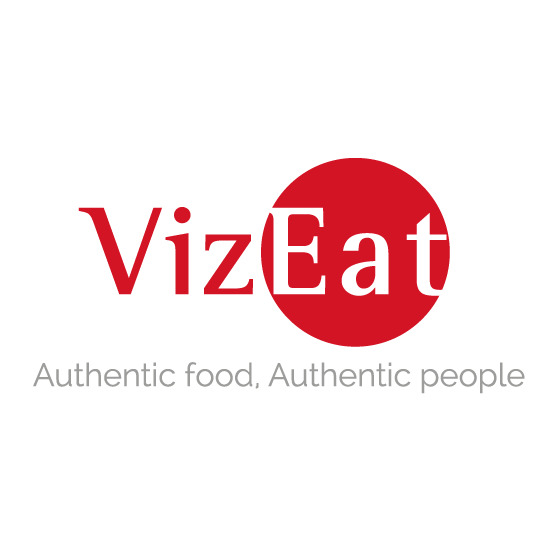 The condiments were very balanced, and the vegetables were crisp and fresh. You also have the choice of Swiss or cheddar cheese, but I went with the cheddar and didn’t regret it. Even though it may seem like this was a real cheeseburger in paradise (ugh, a Jimmy Buffet reference..I feel so dirty), the only downside was the bun consistency. It needed to be a bit thicker and more durable to accommodate all of the toppings along with the meat instead of slowly deteriorating as the meal wore on. As for my side of onion rings, that was the real show stopper. I couldn’t believe how big these mofos were. There seriously must have been some sort of radiation leak by the deep fryer when they made them. However, contrary to the rumors and/or what Cosmo wants us to believe, size isn’t everything. Even though these onion rings were insanely oversized, they were not very greasy which is a common shortcoming for onion rings. Plus, the breading was handmade and had a rich, semi-buttery taste that enhanced the flavor profile of the onions which were red instead of the typical white. 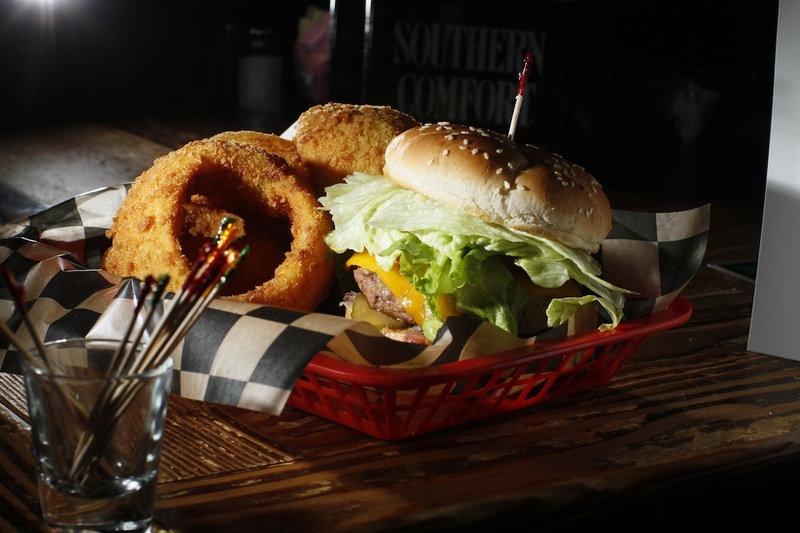 Posted in American Cuisine, Burgers and tagged Bar, Beer, Burger, Food, fried, grill, Memphis, onion, restaurant, Reviews, rings, Sandwich, Tennessee, Travel. Bookmark the permalink.